Everyone knows that writing your vows can pose to be quite the stressful task, yet with the right planning and the right wedding vow ideas, the process is made much simpler. Some of the most memorable heartfelt wedding vow ideas come straight from the heart. Yet other wedding vow ideas can be pulled straight from your favorite passage of poetry or song that your and your partner have special memories with. 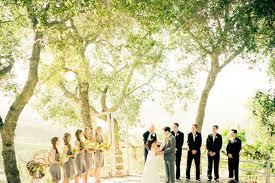 There are also traditional wedding vow ideas which are usually performed in church ceremonies. Last but not least, there are funny wedding vow ideas where the couple shares funny memories; these are always a crowd pleaser! If you are feeling like you know what to say, but just don’t know how to say it, these wedding vow ideas are sure to help guide you in the right direction of romance!